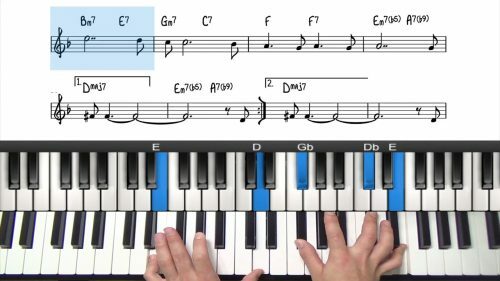 In this lesson we will take our study of chord tone soloing a step further by incorporating triplets and swing 8th notes. Check out the detailed lesson on swing feel if you have not watched that already. It contains lots of information that will complement what we are about to cover in this lesson. 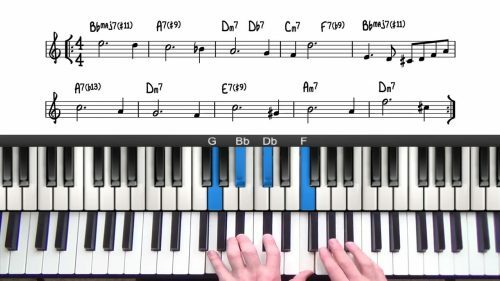 We will cover some of the same principles that we cover in that lesson, but not in as much detail, so if swing rhythm is new to you, definitely check out that lesson first. 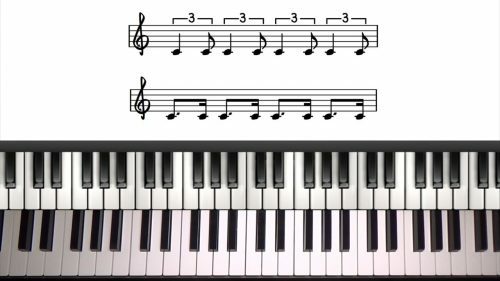 We explore a number of exercises exercises so that you understand how to incorporate triplets and swing 8th notes into your lines. We are going to play exclusively with chord tones again to help you visualise these important components of your improvised lines. If you do play a non-chord tone by mistake, then don’t stop playing, just move back to the closest chord tone on the next beat. Always try to keep playing when improvising. This lesson is a quick analysis and performance of the left hand voicings in the tune “Alone Together” to preare you for the improv tutorials. When improvising, never stop playing if you make a mistake... this is the worst thing you can possibly do. Just continue, unfazed, & chances are it will still sound great, and if you do have an audience, they will be none the wiser. If you stop, however, it's obvious to the audience that something is wrong and it will also make your playing sound disjointed.